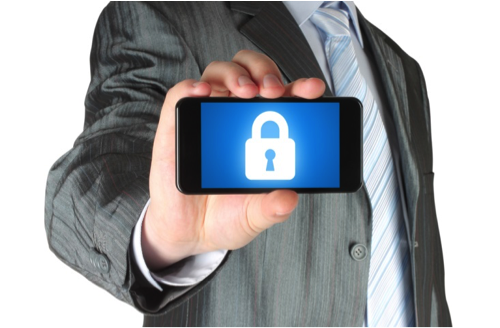 Quick: What is the greatest security risk to mobile devices? If you said malware, you would be wrong. Harmful applications are certainly a concern, and protecting against them is important, but malware actually presents a much lower risk than one common behavior — one that’s actually the root of most mobile-related theft. That habit? Not locking your phone. It’s so simple, really: Just set a passcode, and configure your phone to automatically lock after it’s left idle for a few moments. To regain access, simply tap in the code or trace the pattern, and you are in. For most people, assuming you remember your access code, the whole process should take fewer than 10 seconds. Except most people don’t take this most basic security precaution. According to one survey, more than half of the respondents admitted that they do not lock their device, and among them, 44 percent said that they did not do so because it was too much of a hassle. But consider for a moment all of the information that your phone contains. A criminal could find out just about anything he or she wanted to know just by looking through your phone and reading emails, text messages, and social media posts. If you save login information on your phone, someone could possibly access your bank account, credit card account, and work email or network. In short, everything that someone might need to wreak havoc on your life can be found in your phone. 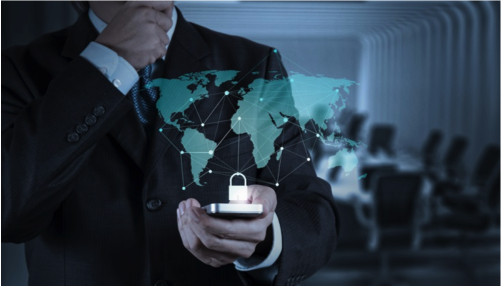 Realizing that the human element is the factor that torpedoes most security efforts, Google has attempted to address the issue with the latest iteration of the Android operating system, known as Lollipop. One of the most buzzed about features of version 5.0 is the Smart Lock feature, which will make it easier for users to lock and unlock their devices. The Smart Lock feature is designed to overcome the greatest barrier to locking one’s phone: unlocking it when you want to use it. Smart Lock takes the perceived hassle out of that task by linking the phone to another Bluetooth enabled device, such as a smartwatch, your car stereo, or a computer. Once the device is configured, it will automatically unlock once it is in range of the connected Bluetooth device. When it’s out of range again, the device automatically locks. How does this protect your device? Well, imagine that you are out to lunch with a friend. During lunch, your phone remains unlocked, since it’s within range of your smartwatch. If you get up to use the restroom and move your watch out of range, the phone will automatically lock. Your friend won’t be able to snoop in your phone while you are away — nor will the waiter, who “accidentally” picks up the phone while clearing the table. If you do not have any Bluetooth-enabled devices, or don’t want to connect them to your phone, you can also bypass the lock screen with a Near-Field Communication device. You can program any NFC-enabled device, such as your employee ID badge, to unlock your device just by tapping the card on the back of the phone. In either case, though, you do not have to enter a password or PIN, making the process of accessing your phone much faster. In fact, the Smart Lock feature also includes an enhancement to Android’s existing facial recognition abilities. With Lollipop, users who have enabled facial recognition can read their most recent messages and updates by simply looking at their phone. The facial recognition software will reveal the messages to the phone’s owner, while shielding them from everyone else. Unlike previous versions, though, this facial recognition will happen automatically, and not require an additional step as it did before. While Smart Lock will protect you from the fallout of a lost or stolen mobile device, it isn’t a replacement for standard security measures. For example, Smart Lock will not protect you against malware (you will still need an Android security solution for that) or from phishing and spam messages. In addition, while Lollipop does include an out-of-the-box encryption solution, it only encrypts the data stored on the phone, not while it is in transit or stored in the cloud. For that reason, you still need to take precautions when using public Wi-Fi, and be alert to the most common scams targeting mobile users. That being said, though, Lollipop’s Smart Lock feature is a positive step for those who resist locking their devices for convenience reasons. Given the risks associated with a lost or stolen device, there’s really no excuse not to do it anymore. How to Run Android Apps on Mac?